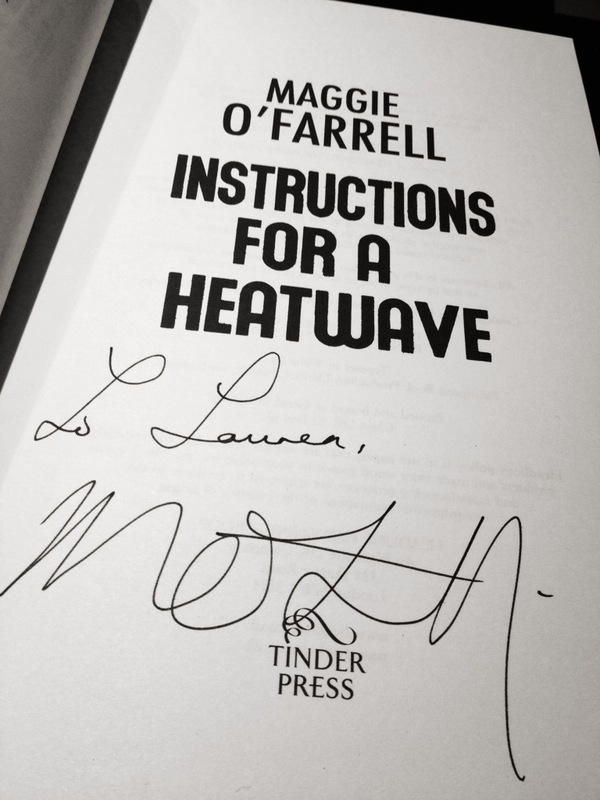 A few nights ago I went along to a wonderful evening with Maggie O’Farrell. She was doing a book reading and Q&A in Waterstones in Glasgow. I was first introduced to Maggie by my big sister, Lynsey. I immediately fell in love with her writing. Her first novel, After You’re Gone, is sublime. I cried my eyes out reading it. She creates a whole world you get immersed in and feel like you really know the characters your reading about. Those of you that read a lot will recognise the feeling of loss when you finish a good book. It was lovely to hear that she feels the same way when she finishes writing one, likening it to a group of good friends that don’t want to talk to you anymore. 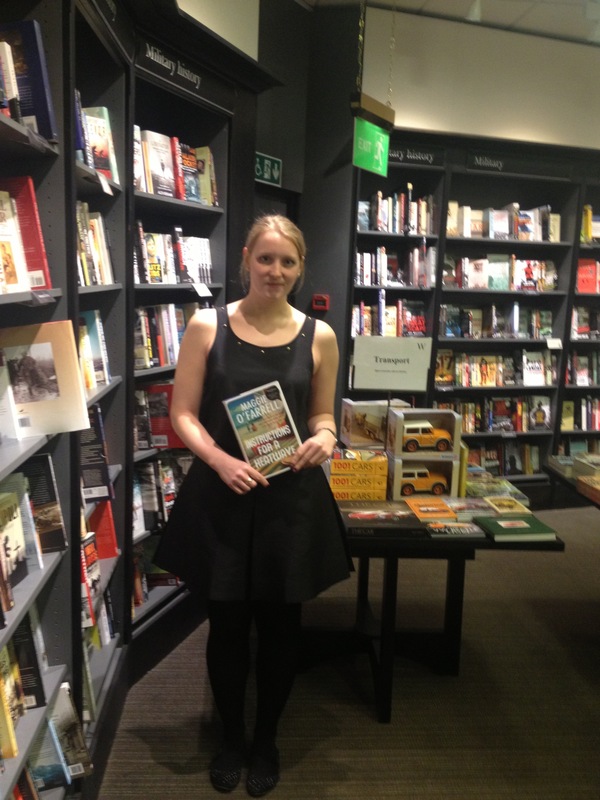 I have to say I was disappointed with the Waterstones host, who asked some pretty rubbish questions. She did ask about what Maggie makes of critics reviews, to which she said she didn’t read them. I liked her reasoning, explaining that she writes as though no one will read it. She compared reading reviews to walking a tight rope, once you look down it all falls apart. I could relate to this, obviously my silly blog is nothing compared to a novel but I have the same feeling. I write as if no one is going to read it, you could drive yourself crazy trying to write how you think others want you to. It was a lovely evening and I am eagerly awaiting starting her new novel, Instructions For A Heatwave, I have to finish the book I’m reading first. I obviously got a signed copy which I will now treasure even more than I normally do with books. Here’s me in the store, excuse my boring workwear I didn’t have time to change. fab night. i too am speed reading the book i’m in the middle of, so i can get onto maggie’s new offering.